Things have been a bit crazy on the Felted Button front lately--ever since returning from Scheepjes Blogger Days. Where did September go? Oh, yeah...getting my littlest a bit more settled at school, a tragic family funeral, spending time helping my aging parents, and figuring out some tough personal stuff. But that's real life, right? Not everything has been bad, though. 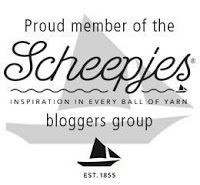 After waiting for the entire month of September, I've excitedly received some of the most amazing yarn from Scheepjes you could possibly imagine!! 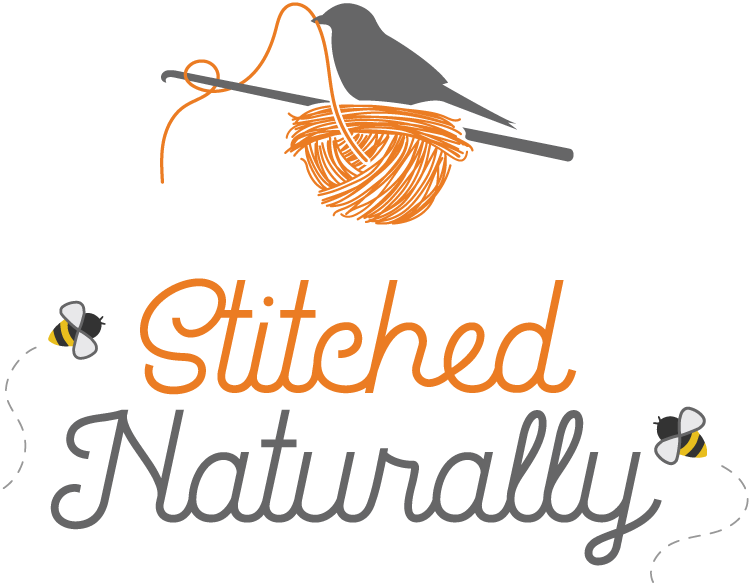 Watch here for bits and pics of the yarn and some sneak peeks of what I'm going to make with it. 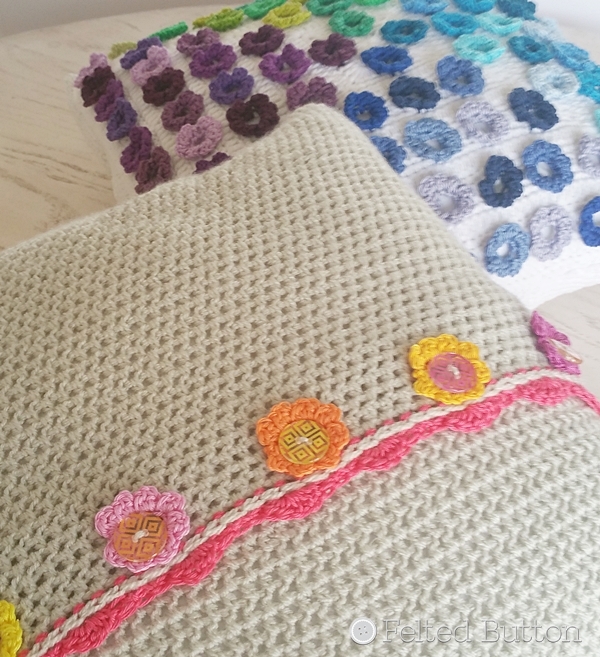 Today I'm popping in to share with you my newest crochet pattern! It's been a long time coming, but I'm super excited about it. After polling on my Facebook page for suggestions for a name, I immediately happened upon the name Afremov (suggested by Cam--thanks!) after the famous impressionistic artist Leonid Afremov. I love his story, and his color-filled work. You can see some of his beautiful paintings here. His use of color and the glorious feel of them makes me happy, and I feel honored to have his name attached to this new pillow design. 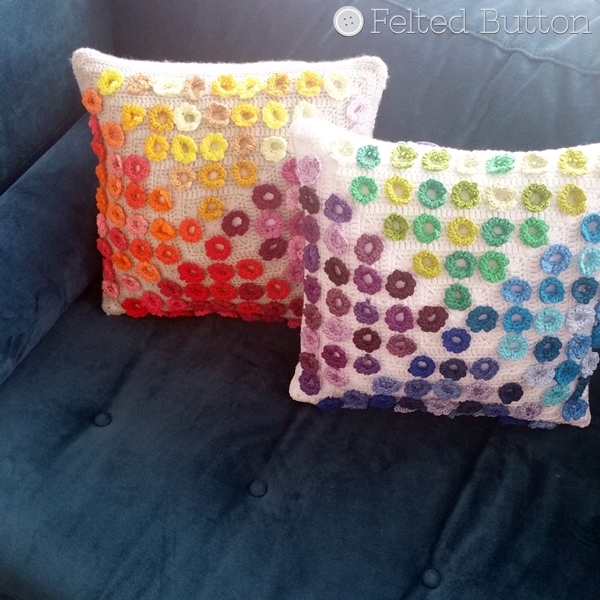 I include the colors I used in the pattern for both the "warm" and "cool" pillow. And it only required small bits of each of them--so a 25g ball of each Catona can be used. 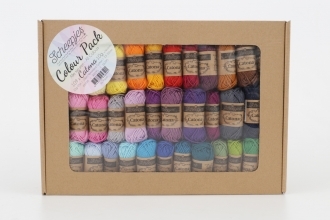 I was also thinking that if you wanted to really have some fun, the new Catona Cutie Pies* (all 109 together in a box) are available from Wool Warehouse now and you could use them for this pillow. 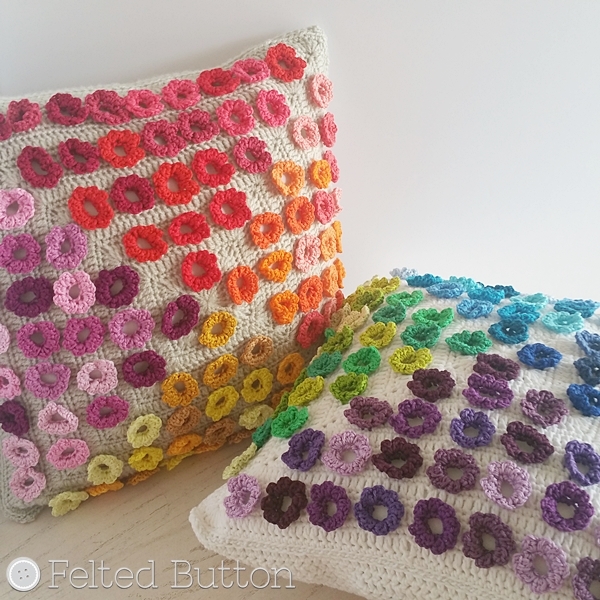 I roughly calculate that you would need only 25 of them--a few extra colors for an even more colorful cushion! 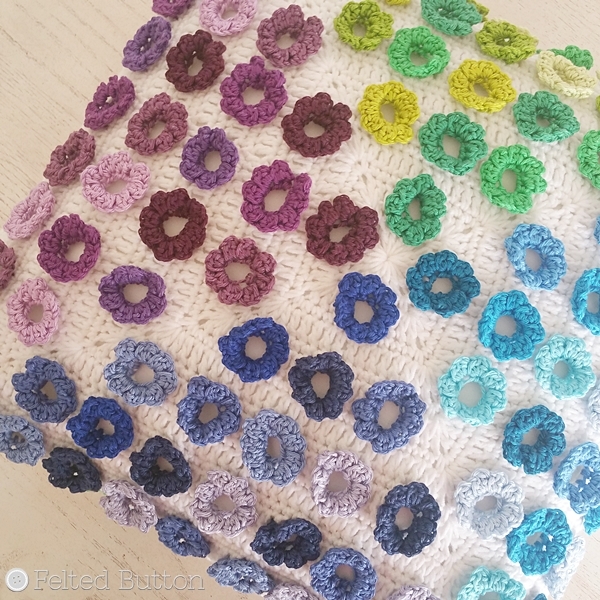 I have the set of them and plan to use them for my color planning rather than to actually crochet with--you know, move five here, rearrange here, switch up the sequence here, add another color here. They are really adorably perfect for that. 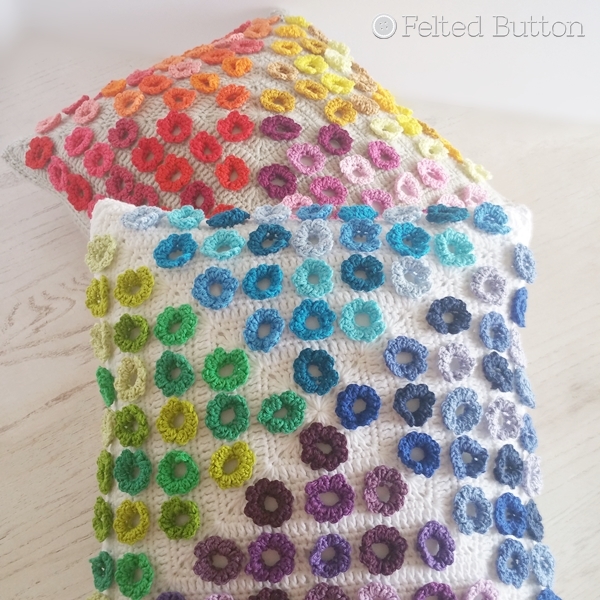 I really like when my pillow covers are removable for washing, so I designed this one with a simple button placket--adding flowers and a Catona edge for a little extra fun. The buttons (6 required), fit through the center of the flowers for closure. Nifty, huh? You can read more about the details and specifics in the Ravelry listing here and purchase your Afremov pillow pattern from any of my shops below. 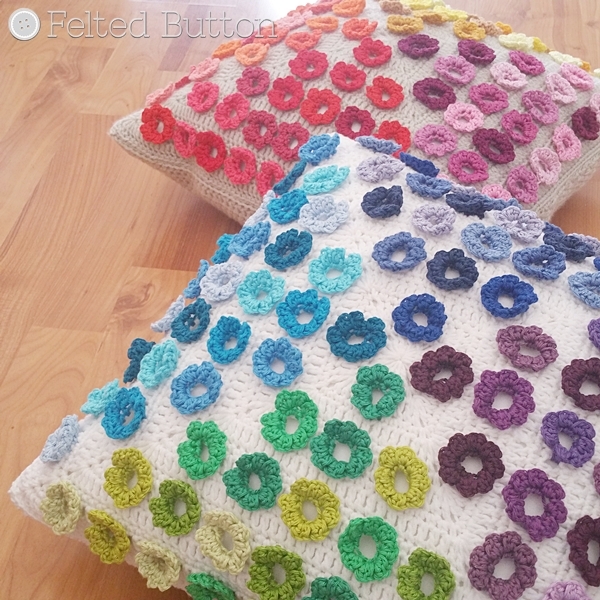 I would love to hear your thoughts on this pillow--especially what colors you think you might make yours in so feel free to comment below. Or let me know what your thoughts are and keep in the "Button" loop on Facebook here or Instagram here. I hope you are happy and well, enjoying the small pleasures in life and getting lots of good crochet time in. 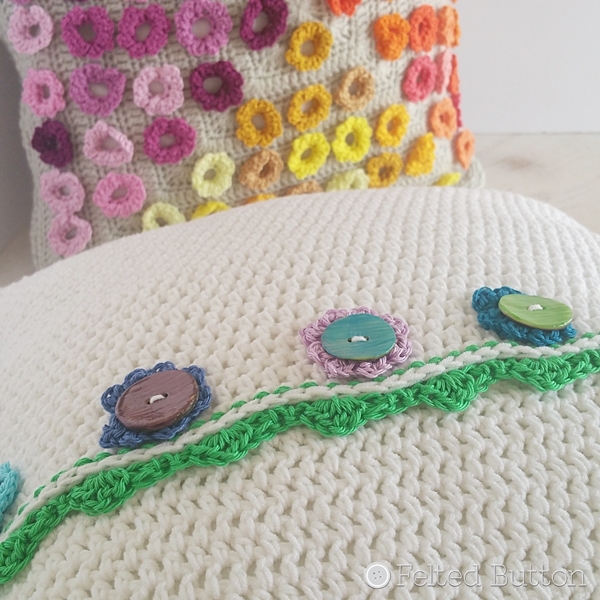 I'm planning lots of snuggly crochet time here as the weather turns cooler and I've got many blankets and other cozy designs swirling in my head. | On the Board | -- The greatest form of charity may be to withhold judgment. *This post contains affiliate links which if used by you cost you no more but may provide me a small amount of compensation. Thank you!